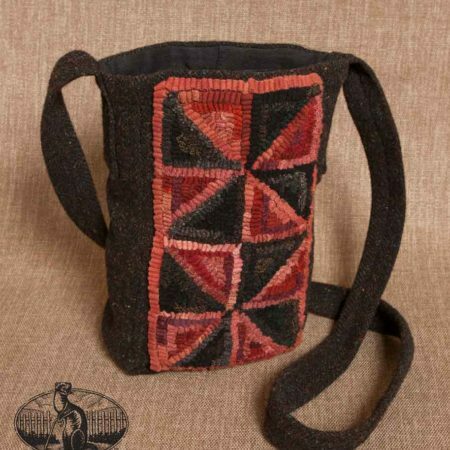 You can take your love and appreciation of hooked wool rugs with you everywhere! 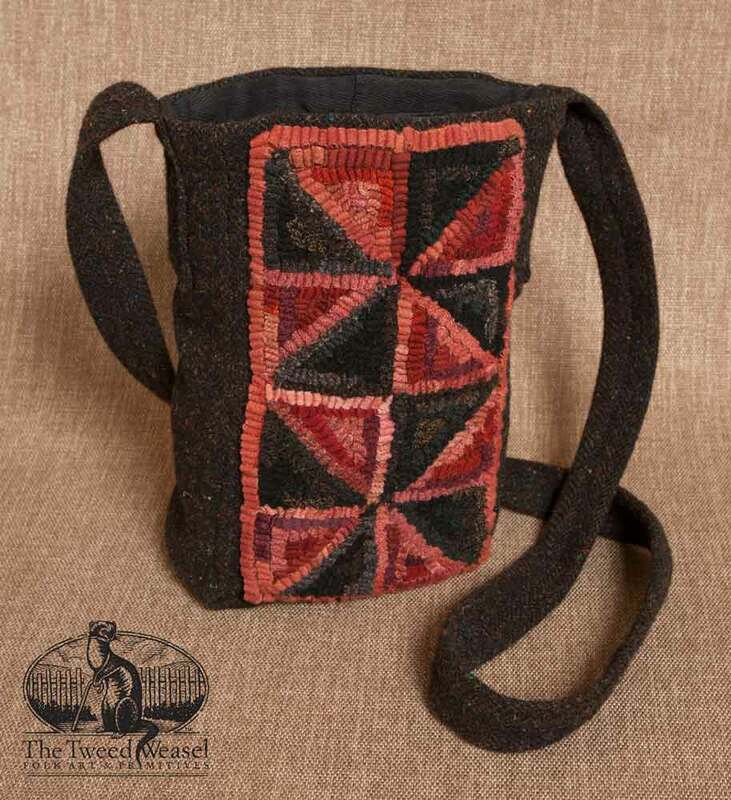 This lovely lined wool purse with pinwheel geometric design is hand-hooked and assembled by Tish Bachleda. Stitched well at stress points for years of enjoyment. If a custom ordered piece, you can help choose the colors, design, shape and strap length that fits you best. Contact us for details.